Join the Living History Multimedia Association today and your support will help bring local history into Ontario schools. Members will receive 15% off of purchases from our store, and will be kept informed by our quarterly newsletter. 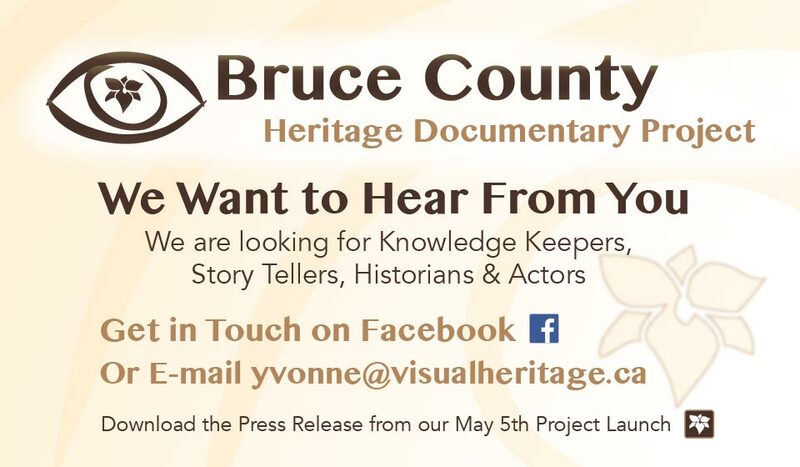 We've partnered with the Bruce County Historical Society on a major documentary project exploring the history of Bruce County. Read the Press Release. Are you an educational insitution who would like to use one of our programs in the classroom? McIntyre Media is now our offical educational distributor. You can view highlighs, trailers and special features from our projects on our official YouTube Channel.